Emerging lithium producer, Prospect Resources (ASX: PSC) released the Scoping Study for its Arcadia project on Tuesday. 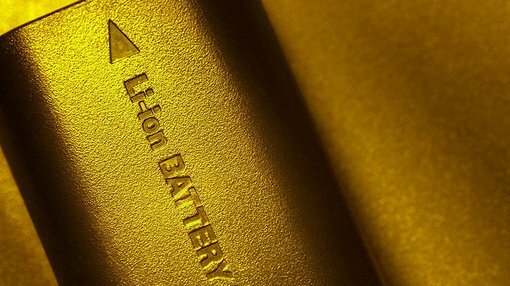 This relates to the proposed development of the company’s lithium deposit in Zimbabwe. Before we go too far, it should be noted that this project is located in a region which carries sovereign risk. As an early stage initiative operating in a high risk region where getting mining projects up and running is no simple feat, those considering this high risk stock as an investment should seek independent financial advice. However, it needs to be borne in mind that the Scoping Study referred to in the report is based on low-level technical and economic assessments, and is insufficient to support estimation of ore reserves or to provide assurance of an economic development case at this stage. Consequently, the Scoping Study does not in any way provide certainty that the potential outcomes referred to in the report will be realised. Management highlighted the fact that the potential quantity and grade stated by the exploration target is conceptual in nature and there has been insufficient exploration to estimate a mineral resource over the exploration target area and that it is uncertain if further exploration will result in the estimation of a mineral resource. That said, to date PSC has consistently delivered quality exploration results featuring strong grades and the assumptions contained in the report appear consistent with current data. The headline numbers were as follows. Looking at the key data within the Scoping Study, it implied a 70% increase in measured resources which conceptually speaking could support a mine life of between 15 years and 25 years. From a broader perspective, based on the geometries, thicknesses and depths to which the pegmatites have been modelled, plus their estimated grades, open pit mining would be the logical method being assessed during feasibility studies. Those considering an investment in PSC shouldn’t base their decision on forward looking statements or forecast data. It should also be noted that as a company operating in Zimbabwe there is a degree of sovereign risk. 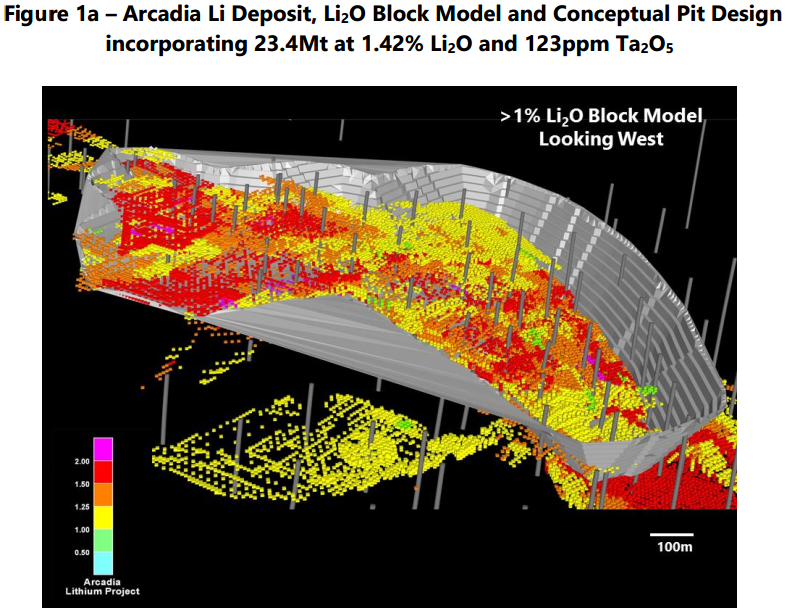 The conceptual pit design supports extraction of near surface, high grade lithium mineral resource of 23 million tonnes grading 1.42% lithium dioxide and 123 ppm Ta2O5 (tantalum pentoxide) with a low strip ratio, a factor that should work in the company’s favour when it moves to ascertain the economic development viability. Material assumptions and modifying factors relating to the scoping study and in particular the conceptual pit process flow sheets and plant design have to date not incorporated the extraction of tantalum pentoxide and accordingly it is not considered a determining factor to the project’s viability. However, if PSC were to facilitate the extraction of this product there is a good chance of the group finding a ready market for it given that it is used in the production of lithium tantalate single crystals. From a commercial perspective the single crystals are cut into wafers and are used as a substrate for manufacturing surface acoustic wave filters (SAW filters). These are used in mobile end devices such as smart phones Tablet PCs, ultrabooks, GPS applications and smart meters as they ensure precise frequency control as well as optimised selectivity and reduced distortion. The current mining plan envisages a series of open pits with production commencing from the first high-grade pit, anticipated to start in mid-2017 with the second larger pit coming into production thereafter. This would be an impressive outcome at a time when many of PSC’s peers are a good way off first production. Early production would also work in favour of shareholders as near-term cash flow assists in meeting development costs. With regards to the broader funding scenario, management indicated it is looking at a mix of equity and debt with the prospect of pre-payments from offtake contracts hopefully limiting the degree of internal financing required. One of the key near-term factors in terms of derisking the project will be the establishment of offtake arrangements. On this note, management said, “As the first ore delivery date becomes more certain, so can offtake discussions be completed”. However, management did confirm that offtake arrangements are currently being discussed. The company is of the view that Arcadia’s early production and near term delivery of lithium oxide concentrate will command a premium in today’s supply constrained environment.